The Snore Eliminator® is a new anti-snoring device makes it easy for people with breathing problems to get a good night’s sleep so they can wake up refreshed and filled with energy. The Snore Eliminator mouthpiece gently repositions the lower jaw to allow air to flow freely and stop snores at the source. “Disruptive snoring is an extremely common complaint,” reports Jessel Ordineza spokesperson for Sylvan Inc., a distributor of health and wellness products for more than a decade. She notes that according to the American Academy of Otolaryngology, 45% of adults snore at least occasionally, and 25% are habitual snorers “That means that nearly half of the population is having trouble breathing and losing sleep because of it,” says Sylvan. What distinguishes The Snore Eliminator from other products is that this anti-snore device was developed by oral surgeon Will Vachon. “And strict clinical trials with controls have shown that a mandibular advancement device is 98% effective for those who snore,” reports Sylvan. Sleepless nights are just one of the negative consequences of snoring. The Mayo Clinic reports that people who snore are at a greater risk for high blood pressure, heart failure, and stroke. They experience daytime sleepiness and difficulty concentrating both of which can have an impact on interpersonal dynamics, putting a strain on relationships. Obstructive sleep apnea is another serious medical condition that this snoring device addresses. “When you have sleep apnea, your airways are so obstructed that you stop breathing for periods of more than 10 seconds at a time while you sleep,” explains Sylvan. He notes that an increased risk of behavior problems in children with sleep apnea, including Attention Deficit Hyperactivity Disorder (ADHD). “Not to mention the fact that a sleepy driver is an unsafe driver,” says Sylvan, noting that people who are sleep-deprived create an increased risk of motor vehicle accidents. The Snore Eliminator is a new anti snoring device that uses a customizable gel mouthpiece to reposition the lower jaw and make it easy to breath during sleep. It is a proven treatment in the prevention of snoring and an effective tool to guard against sleep apnea. It was developed by oral surgeon Will Vachon and is distributed by Sylvan Inc., a leading provider of health and wellness products online since 1998. 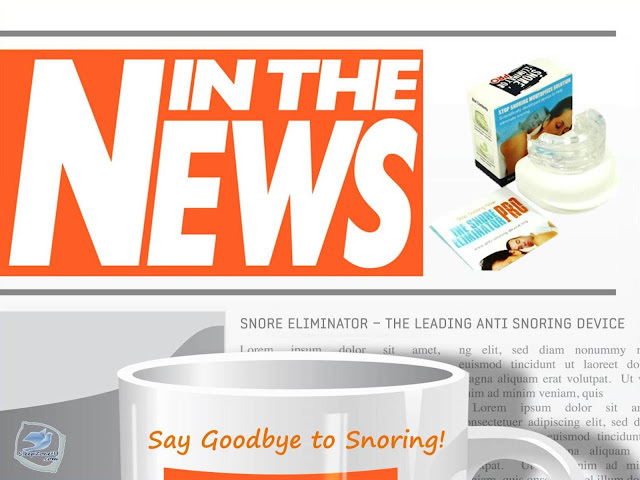 The Snore Eliminator is non-toxic, hypoallergenic, sterilized, and available without a prescription.